Abracadabra! Creating Rigorous, Multi-Genre Instructional Units Using the Magic of Children’s Literature! Abracadabra! Creating Rigorous, Multi-Genre Instructional Units Using the Magic of Children’s Literature!, grades 3 – 5. Discover innovative ways to maximize the “magic” of children’s literature to create rigorous, high-interest instructional units. 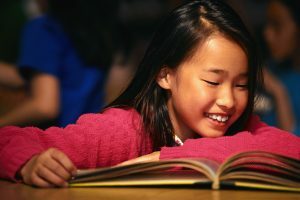 Sandra shares her unique experience as a National Board Certified teacher, literacy specialist, and published children’s author to create dynamic units of instruction that are abracadabra magical! •Even teach improved skill and strategy in writing instruction and more! • Participants will make their own magic by planning a classroom-ready instructional unit. Make & Share Sessions: In these hands-on sessions, teachers are directed in creating their own instructional units that align with their classroom learning objectives and the national standards. Ideas and guidance to identify reading materials, to prepare instructional materials and to assess student performance will be provided.